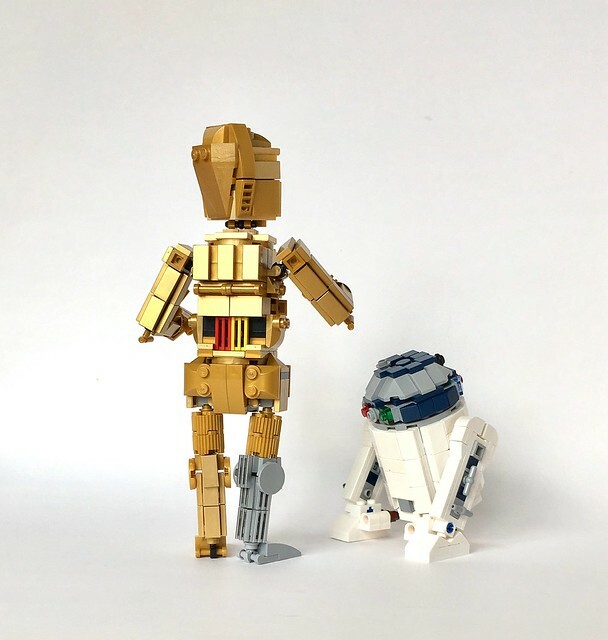 All golden C-3PO figure with articulated joints at the neck, shoulders, wrists, hips and ankles. 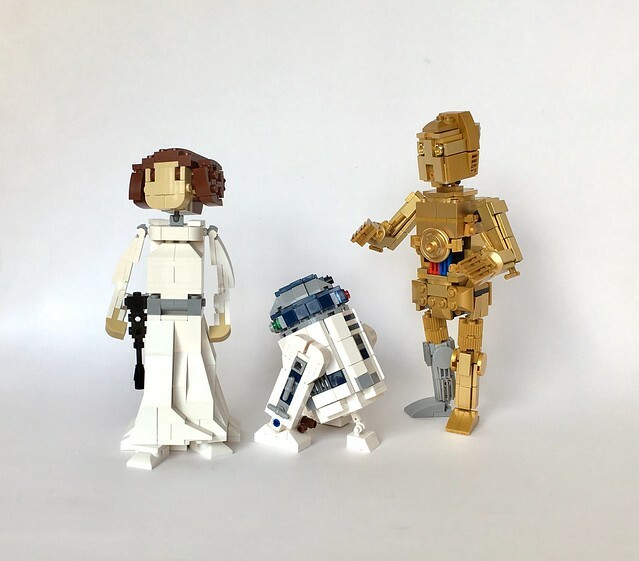 This MOC model figure uses official Lego colored parts using metallic gold and pearl gold colors for the shiny gold color. Lower right leg uses metallic silver and light bluish gray pieces. This model pairs well with the R2-D2 and Princess Leia.